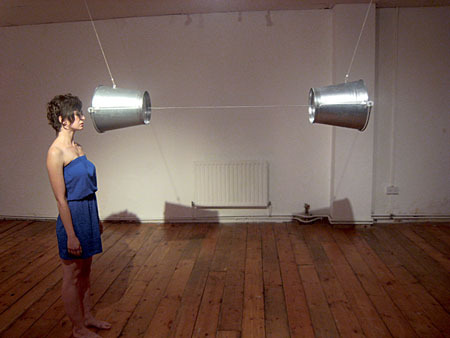 A still from Ann Maria Healy’s Monochrome. THE GALWAY Arts Centre will host a serious of events next week including a performances art piece, a discussion on redeveloping Galway, and a sale of artworks. On Monday, Tuesday, and Wednesday the Galway Arts Centre Artist in Residence Ann Maria Healy will give a performance entitled Monochrome from 2pm to 5pm each day. Her practice centres on cycles and how they affect and shape our lives, as well as exploring the body’s relationship to space and time. At 6pm on Thursday November 26, Docks Discourse: Genius Loci, the second instalment of talks organised by architect Aoife Considine, takes place. Throughout the year Ms Considine has been exploring the possibilities of redevelopment through art and architecture. Genius Loci brings together people from various disciplines, all with the brief to generate ideas for Galway as a creative city. Admission is free. See www.dockdiscource.com On Friday 27 at 6pm the Galway Arts Centre will host its first ‘Artists’ Anonymous Art Sale’ Fundraiser. It will present a large number of works by artists from Galway and beyond, from art students to more established artists. Each work is priced €80, with GAC and the artists each taking half. The aim is to raise money for the centre’s Visual Art and Education Programme and for artists to present smaller works. The sale continues until 6pm on Saturday 28. Buyers can take the works immediately. Page generated in 0.0978 seconds.